Sweden reacted to the ongoing repression, closure, raids, attacks against the Kurdish press. Sweden reacted to the ongoing repression, closure, raids, attacks against the Kurdish press. In particular the cases of Özgürlükçü Demokrasi, Gün Matbaası, Welat were highlighted, while the President of the Sweden Pen Solidarity Committee, Elisabeth Löfgren, underlined that journalists and human rights defenders in Turkey are subjected to constant attacks, which mean also less freedom of expression. 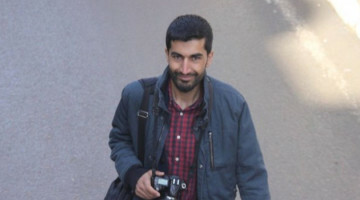 Löfgren described raids on the Kurdish media, confiscation of newspapers and printers, as a heavy attack on the freedom of expression and underlined that many writers are finally forced to leave their country because it is not safe for them to remain there. She also added that “this repression shows an increasingly authoritarian attitude on the side of the President”. Amn Hedenborg, Amnesty International's Press Section in Sweden, said that they observed an increase in pressures against the Kurdish media as well as the Kurdish people. 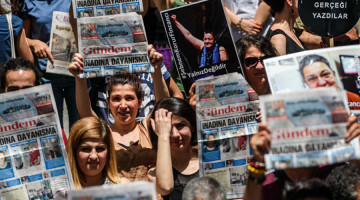 Hedenborg criticized the media in Western countries for not bringing that up enough, saying that the latest raids and bans on the Kurdish media are very worrying in terms of freedom of expression and said, "We must make a continuous effort to ensure freedom of press and expression and to solve the Kurdish problem." European Bureau Chief of the Civil Rights Defenders organization, Goran Miletic, said that after the 2015 elections, and the coup attempt in 2016 they observe a significant increase in human rights violations and tens of thousands of baseless accusations as well as hundreds of arrests in Turkey. 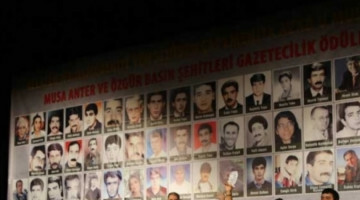 The gravity of the situation, he added, is well documented by the around 150 journalists who are in prison in Turkey. Pointing out that in the West everyone supports Kurdish people and rights, Mimetic said that in Turkey - a NATO member - whoever speaks about Kurdish rights is jailed and accused of being a terrorist supporter. Sami Parliament President Stefan Mikaelsson, said that the European Union and member countries remain silent against attacks on the Kurdish media and the Kurdish people. Mikaelsson criticized the European Union for not defending human rights and freedom of expression, not keeping the promises it made to its own people, "Unfortunately, once again, the love for money and cheap labor prevailed”. 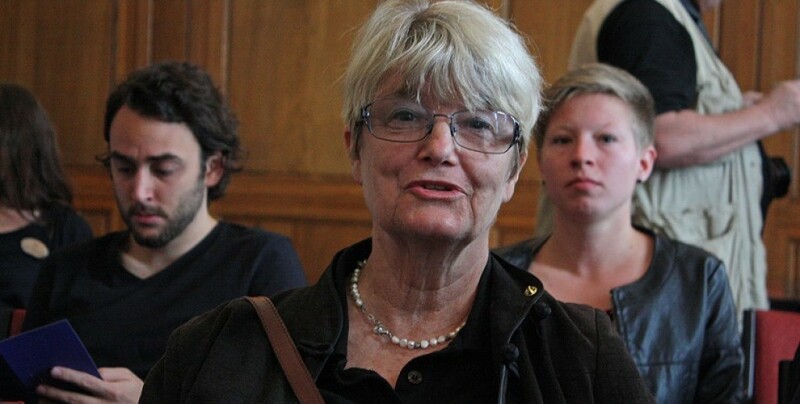 Publisher Monika Elisabeth Dahlgren said that the situation is terrible in terms of human rights in Turkey. She added: "Unfortunately I am quite pessimistic. I hope that could be a different development. They now seized Kurdish media. The government has now bought Dogan Meyda and they are buying Ard which means that nothing will be left soon." Ragıp Zarakolu, a journalist, writer and publisher, emphasized that Erdogan has confiscated Doğan Media with the support of the deep state. 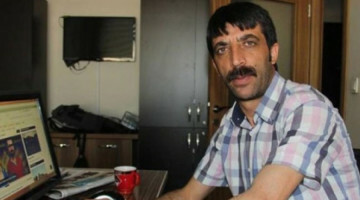 He said: "Aydın Doğan is a business man who has grown up with the support of the government. How did he get his capital so far? Up to today they supported and reported the official view. They treated Kurds, Armenians, Greeks and the minorities as enemies”. "We have been facing the biggest attack on the state's media ownership rights since 1915”, said Zarakolu.